100g balls of colourful, chunky pure British wool in bright and cheerful shades. 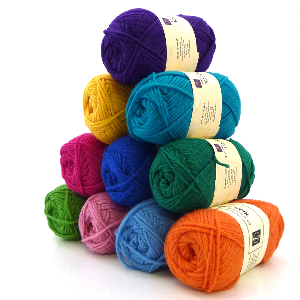 This range of chunky wool is spun from 100% British pure new wool and is dyed to our own exclusive palette. The shades are fun, bright primaries with traditional accents of dark, rich tones and the ecru is dyeable. These glorious colours are hard to come by in a British Wool which is why we wanted to create a vibrant palette for inject that pop of colour into your projects. 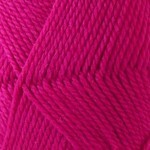 A perfect yarn for hand knitting and crocheting into warm garments and accessories. 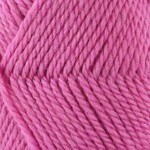 It knits and crochets to standard chunky patterns, so can be used to replace a branded yarn with confidence. Wayland chunky works brilliantly in projects requiring a yarn that can felt into items such as bags, brooches and purses as it produces thick, sumptuous fabrics. Though quite a springy, bouncy yarn it can be woven in the weft with ease and weave in the warp with care. 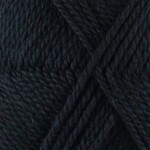 This is a repeatable yarn with exclusive colours and wool has great thermal properties. Buying British means it’s a very eco yarn as sheep are free range, fair trade, the air miles are minimal and you’re supporting British farming.